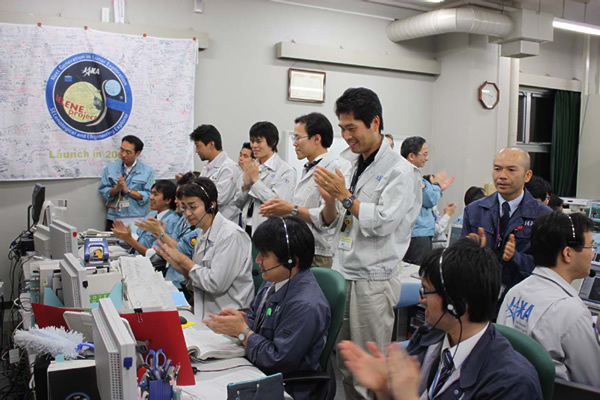 JAXA maneuvered the lunar explorer “KAGUYA” (SELENE) main orbiter to drop it onto the following location on the Moon surface to complete its Moon observation mission. The KAGUYA conducted nominal operations for about 10 months then an extended operational phase for about seven and a half months after being launched on September 14, 2007. 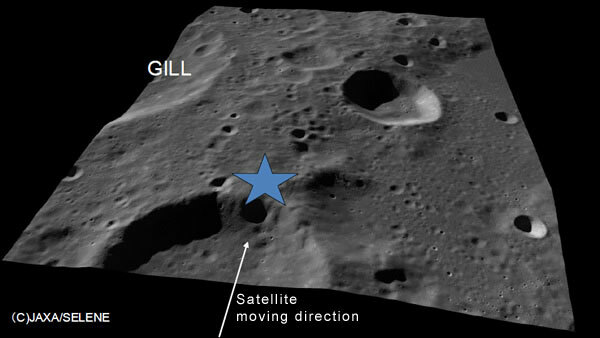 Location: 65.5 degrees south latitude, 80.4 degrees east longitude, near GILL crater. 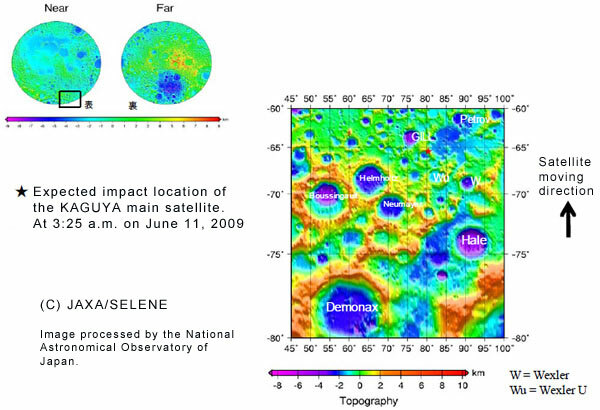 The KAGUYA’s impact location was in the shaded area of the Moon, thus we expect a slight possibility of witnessing the impact flash generated when the KAGUYA hit the Moon. We are now asking people all over the world to provide us with images of the impact flash if someone successfully captured this feat. Concerning the sub satellite of the KAGUYA, the VRAD (Ouna) satellite, its observation operation has already been completed. We will further carry out necessary observations for calibration, then will terminate operations. The KAGUYA's observation data will be released through the Internet from Nov. 1. 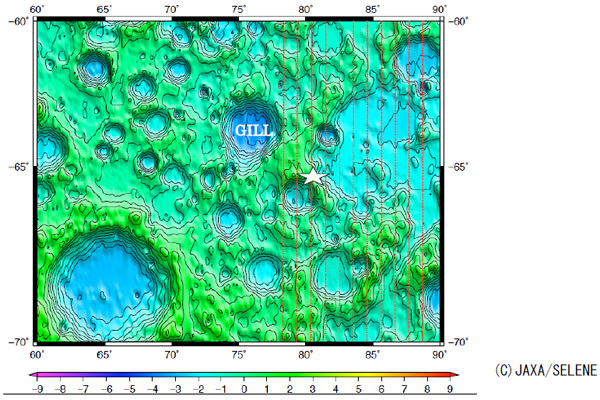 The background image is a topographical map observed by the KAGUYA Laser Altimeter.